Line a baking sheet with tin foil and spray with olive/coconut oil. Place the shredded brussel sprouts on the sheet, sprinkle with garlic powder, and bake in the oven for ten minutes. Pull out of the oven and sprinkle chopped pecans onto the shredded brussels and place back in the oven for an additional 5 minutes. 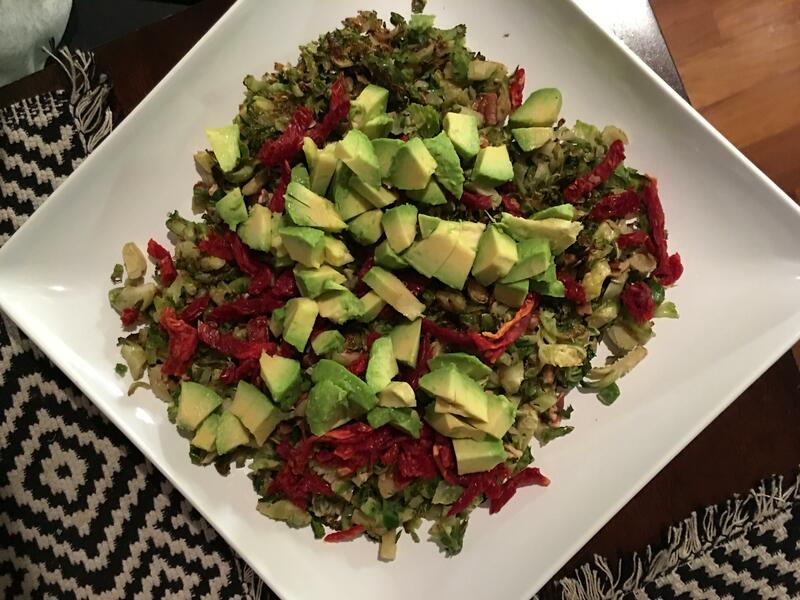 Remove the mixture from the oven and place in a small bowl – toss in the sundried tomatoes and cut avocado. YUMMM. this looks so yummy and so easy!